For families, there’s no topping the adventure of an African wildlife safari—and in Africa, it’s tough to top Botswana. Big game is abundant, and we get amazingly close from our private tented camps, deep in the bush and far from tourist crowds. In a world of vanishing natural treasures, the chance for a family to experience Africa's wonders together is an unsurpassed gift. As you watch a cheetah sprint across the savanna or study the green glow of a hyena’s eyes at night, "wild life" takes on a whole new meaning! Our itinerary is specially designed for families to maximize diversity: from the vast expanse of the Kalahari Desert with its sprawling salt pans to the watery marshes of the Okavango Delta and the thunder of Victoria Falls, our Botswana family safari unveils new sensory thrills day by day. Wildlife Encounters to Thrill All AgesA fully guided family safari with expert naturalists—traverse the Kalahari, Okavango Delta and beyond in search of lion, leopard, elephant, zebra, wildebeest and more! Why Choose Nat Hab for Your Family Botswana Safari? Every family safari opportunity in Botswana is not the same. It’s important to compare crucial features like itinerary inclusions, vehicles and window seats, accommodation style and locations, group size, etc., so you can be sure the safari of your family’s dreams is exactly that! 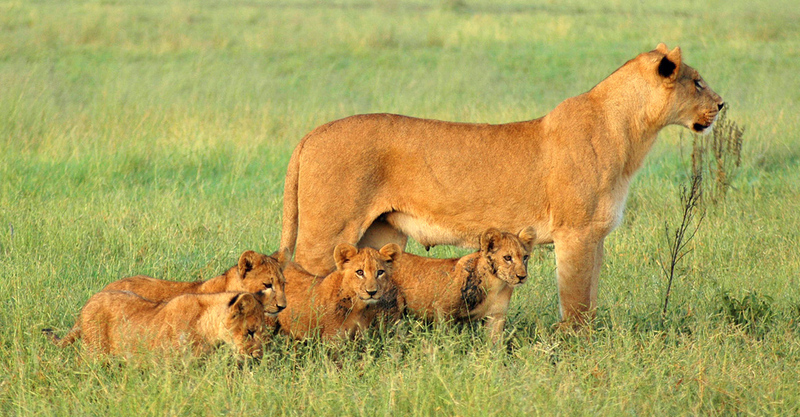 When you see how we stack up, we can’t imagine you’d choose any other family safari adventure. Our Family Botswana Safari is limited to just 13 guests, divided into two safari vehicles—the perfect size for a multi-generational family, or an opportunity to share an intimate family experience with another small family group or two, for added fun and companionship. When you're traveling with kids, variety is important. Safari-goers of all ages will be wowed by our wide-ranging itinerary that takes you from the arid expanse of the Kalahari into the watery reaches of the Okavango Delta—plus a visit to mighty Victoria Falls for good measure! And it's not just destinations that are diverse; we include a host of different activities, too, from classic game drives to guided safari walks, poled mokoro (canoe) excursions, boat rides, and even a quad bike outing across the salt pans. No one will be remotely bored on this exciting journey. Rather than staying in more heavily visited national parks, we concentrate on remote, uncrowded private reserves. Here, in addition to traditional wildlife drives, we have the chance to get out of the truck (always important with kids) and enjoy safely guided bush walks in the company of our Expedition Leader. In addition, we take exciting night drives in search of nocturnal creatures. These are exclusive advantages, since these activities are not permitted in the national parks. Small, Secluded Camps Offer Memorable Accommodations—Including Skybeds! Stay at intimate, isolated camps that immerse us in nature amid profuse wildlife, rather than other tourists. And sleep under the stars in elevated Skybeds on the wildlife-rich Khwai Reserve, surrounded by the sounds of the African night. You won't experience a more exciting sleepout! Rather than subject your family to long, rough overland drives, we opt for light aircraft transfers between camps and regions. This means you have more time to spend on safari making great memories together—plus you’ll have some pretty amazing aerial views of Botswana’s varied landscapes and their wild inhabitants. We've chartered helicopters to whisk you over the Kalahari Desert with its glittering salt pans, instead of a long, dusty drive. 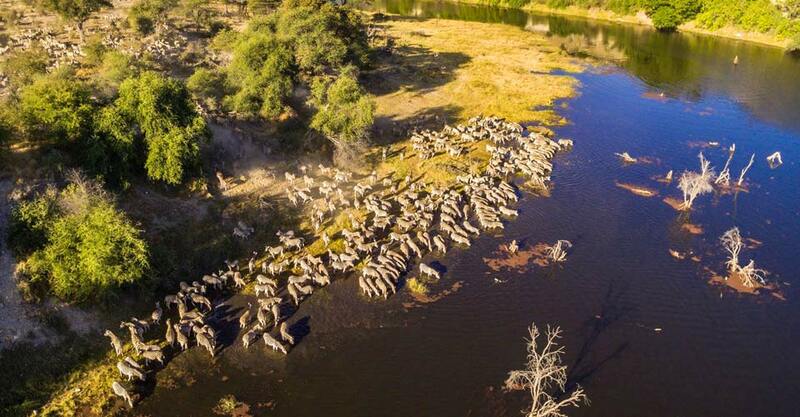 You'll gain a vantage point you'd never get otherwise, and you'll have a chance to see roving wildlife from the air, including Africa's second largest migration of wildebeest and zebra. Just three travelers per helicopter ensures great vistas and photos. The private state-of-the-art safari vehicles we charter have open sides and nine cushioned passenger seats or shared benches—one in front next to the driver, followed by three rows of three seats each—though we limit our capacity to just seven travelers in each vehicle on wildlife drives for maximum comfort, viewing and photo opportunities. This means a window seat for everyone, though extra-secure middle seats are available for the littlest ones, if preferred. Natural Habitat Adventures is known for employing the finest naturalist guides on the planet. 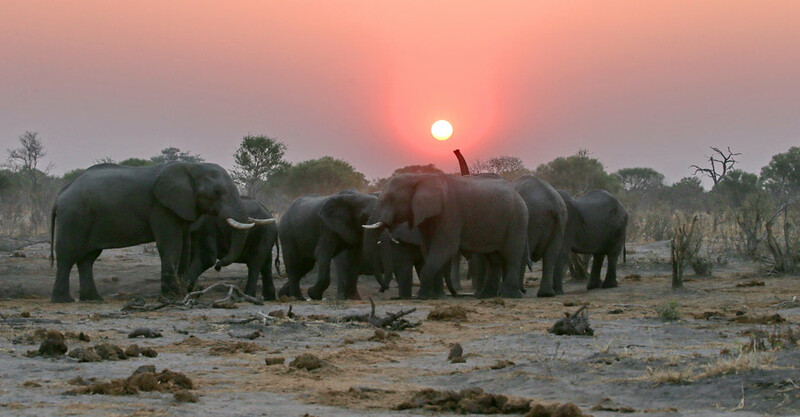 Our Family Botswana Safari includes your own private Expedition Leader for the duration of the trip. Our Safari Expedition Leaders are the most highly trained guides in Africa, renowned for providing exceptional service. 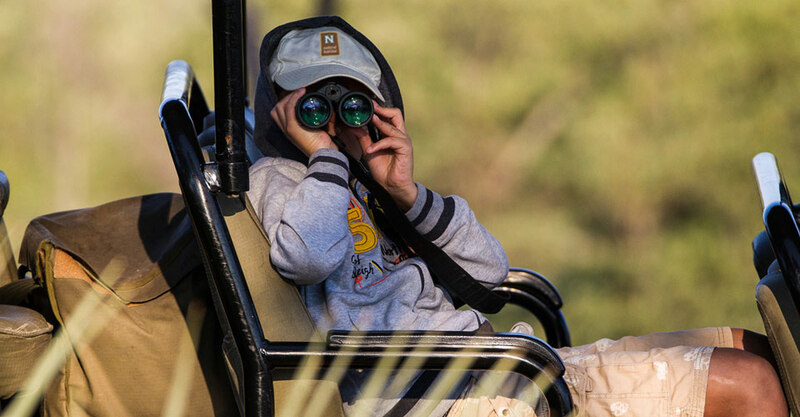 The guides who lead our family safaris have a special rapport with kids and a knack for discerning and balancing the needs and interests of different generations traveling together. Our Expedition Leaders average 15 years' guiding experience in Africa, and their training is enhanced by access to resources from WWF’s top scientists. See Expedition Leader bios with traveler comments regarding the quality of our leaders. In addition, we have support from well-qualified local camp guides who assist with driving and interpretation at each location. Natural Habitat Adventures offers an exclusive guarantee, which states that we will meet the lofty expectations we set forth in our promotional materials. To our knowledge, this is the most ambitious guarantee made by any adventure travel company. Read our important promise. 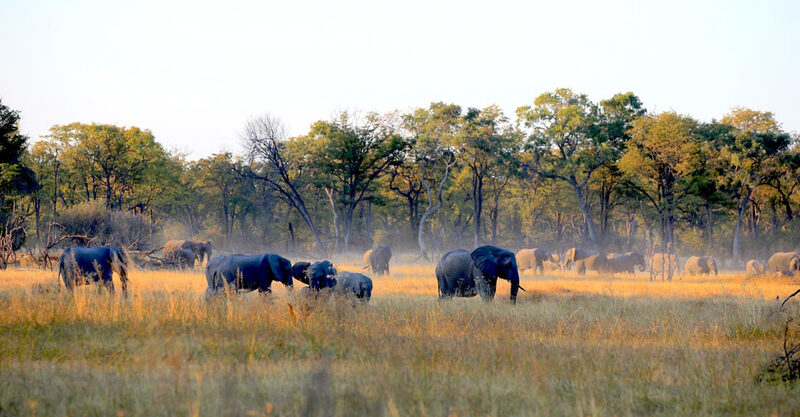 Fill out the form below to receive additional information about our Family Botswana Safari. Hi Nat Hab, I’m interested in your Family Botswana Safari. Can you please contact me with more information?